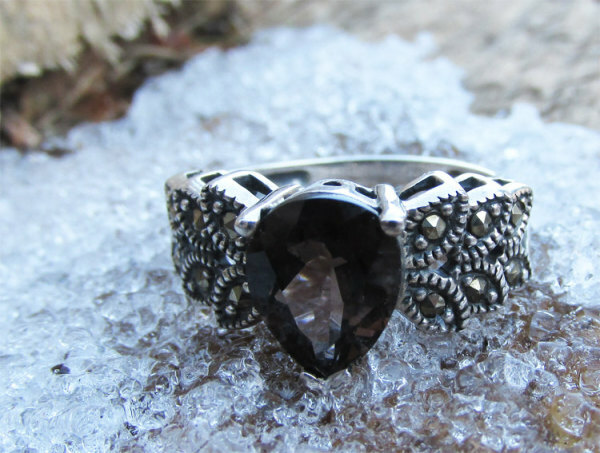 Blessed by my personal spirit guides with strength, courage, and protection, this ring will help you become a formidable force. Bow to no man, and conquer every challenge. The piece has been charged and cleansed and is ready for its owner. Each piece is completely one of a kind, and will never be sold again. Once this ring is gone, it's gone, I'm sad to say. If it was meant to be yours, then I'm sure it will find its way to you. Your gift will be sent in a lovely organza bag. Please note: All enchanted objects must be listed as for "entertainment purposes only". All I can assure you is that I will pour my entire self into every piece, and if you open yourself to this world of possibility, some amazing things just might happen.